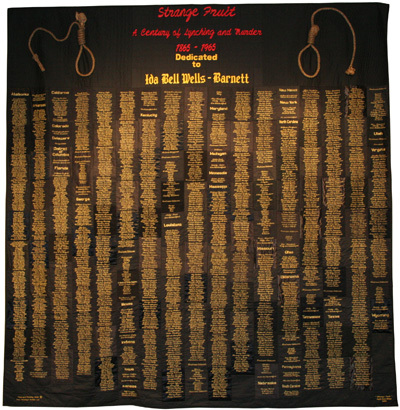 Textile artist, April Shipp, spent three years sewing the names of over 5,000 lynching victims into her quilt, Strange Fruit; dedicated to anti-lynching crusader and journalist, Ida B. Wells, lynching victim, Laura Nelson, and Billie Holiday. Video courtesy of Michigan State University Museum.